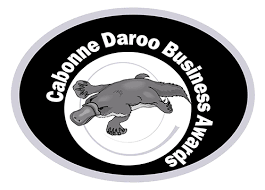 Daroo Awards: Voting is now open for the 2018 Daroo Business Awards. You are only able to vote once so make sure you get your vote in before it closes on 31st August. The Canowindra Phoenix is so excited to be one of the many local businesses to have been nominated. Be sure to include the Phoenix and other local Canowindra businesses in your vote. Orana House Restoration: Work has commenced this week for the restoration of Orana House thanks to Cabonne Council. Work being done is all external and will take approximately 8 weeks. Groups will not be operating from the building until completion. If you have any enquiries to where groups will be meeting please contact the relevant groups or Deb on 6344 2490 or 0487 801 767. • $11,000 for an improved outdoor entertainment area at the Canowindra Bowls and Recreation Club. To be eligible you must have an ABN, be invited by your Member of Parliament and be one of the following incorporated entities; Police and Citizen Youth Clubs, child care centres, local aged care bodies, Parents and Citizens, Parents and Friends groups and equivalent bodies, local rural fire services, local state emergency services and more. If you are interested in this fund visit www.business.gov.au/Assistance/Stronger Communities-Programme and contact Andrew Gee’s office to discuss your project as soon as possible. Community Garden Club: The Canowindra Garden Club is getting ready for this year’s Spring Garden Event at Noojee Lea Homestead. Landscape designer Paul Bangay has designed a wonderful walled garden completed last year and Charles and Eva Curran have invited members of the public to once again come and enjoy the beautiful gardens and surrounds. All proceeds from the day go to the Canowindra Hospital Auxiliary to be used where needed at our local hospital. The garden will be open on Saturday 6th October from 11am until 5pm. The cost will be $20 per adult which includes a Devonshire tea and this year lunch will be available for purchase in the grounds. There will also be garden stalls from specialist Canowindra Nurseries.